Monaco is a simple door with a ‘bead of pearls’ molding inlaid into its profile. 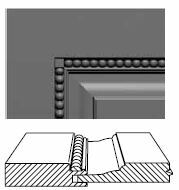 There is a small square corner block in each corner where the molding terminates. 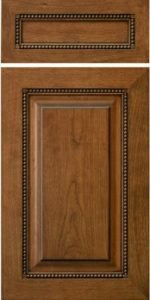 A great looking door in any wood or finish. Yes. Camelot Rout not available. G121 Panel Rout not available.